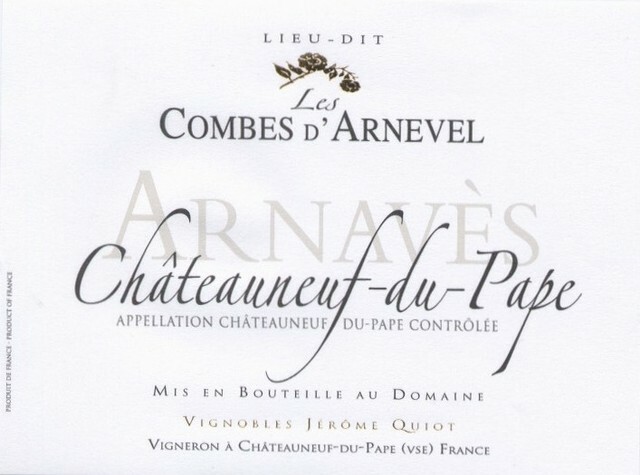 Vintage 2013: The 2013 Chateauneuf du Pape les Combes d’arnevels is a fruity, straightforward effort that offers notes of black fruits, dried garrigue, licorice and spice-box. Drink it in its first 5-6 years of life. This is ready-to-drink Châteauneuf. A charming raspberry flavor mixes easily with a dried herb note, while the tannins are supple and the texture is creamy. Drink it over the next 5–6 years.